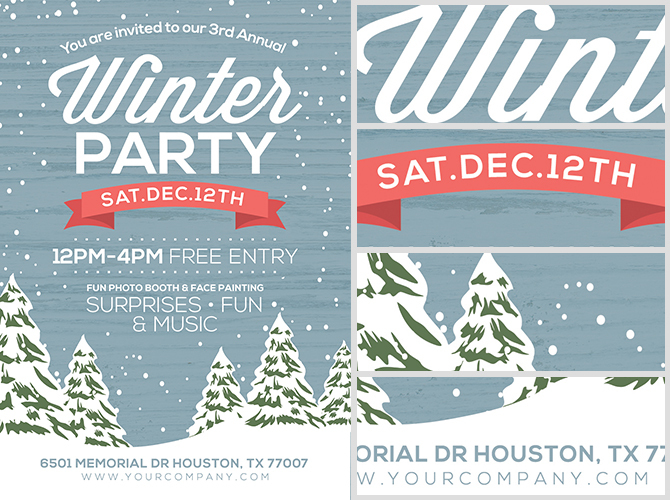 Here we have a flexible, easy-to-use and guaranteed client pleasing winter flyer design. 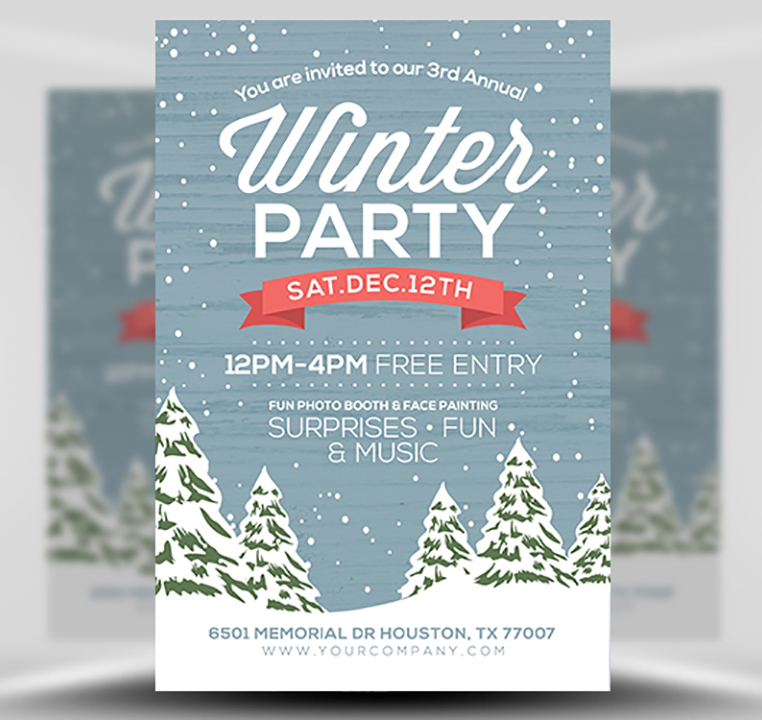 Whether you need a flyer, greetings card or event invitation, this beautifully illustrated winter themed design is a fantastic way to start. 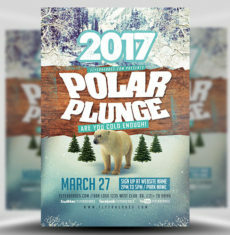 The design is entirely type-based and very easy to use. 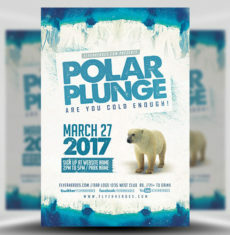 All you need to do is edit the text and your flyer will be ready to print. 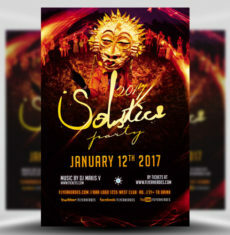 There’s plenty of available text areas to add details such as your event title, address, opening times, entry prices and more. 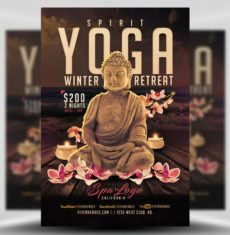 The friendly and rustic design style make this template a great choice for churches, community groups, charities and schools. 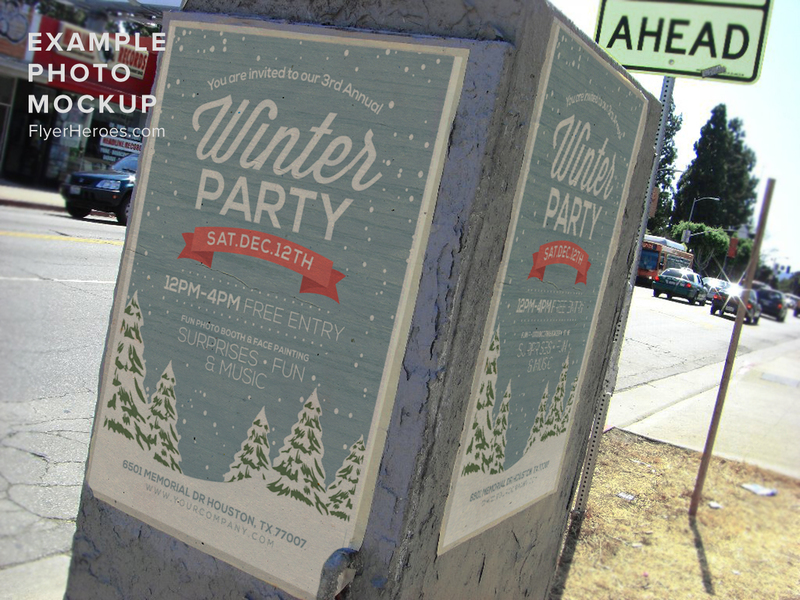 Though, we think anyone can make great use this template! 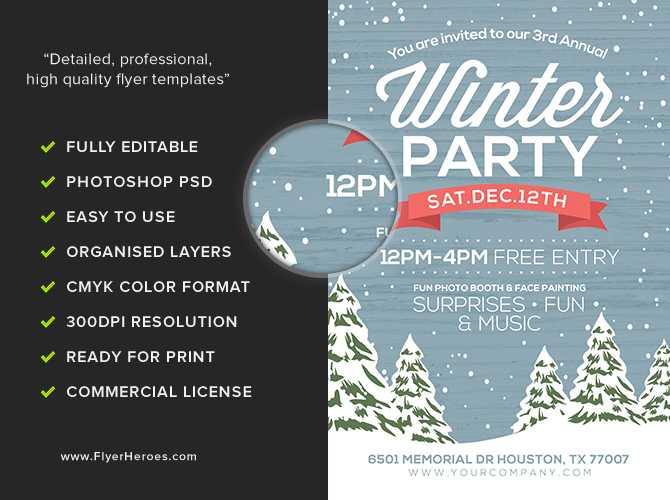 Rustic Winter Flyer Template is a premium Photoshop PSD flyer / poster template designed by FlyerHeroes to be used with Photoshop CS4 and higher.